Campeggio Joan si trova a Cambrils, Tarragona, è situato vicino al mare. Questo campeggio dispone di piazzole delimitate e sia ombreggiate che. Camping Joan si trova nei pressi di una spiaggia di sabbia. È possibile affittare casemobili, Monolocali, appartamenti e bungalow. Il campeggio dispone di un parco giochi. Per chi desidera rilassarsi dopo una giornata intensa ci sono beauty center. Il campeggio dispone di una piscina scoperta e una vasca per i più piccoli. Nelle immediate vicinanze potete fare il bagno in mare. 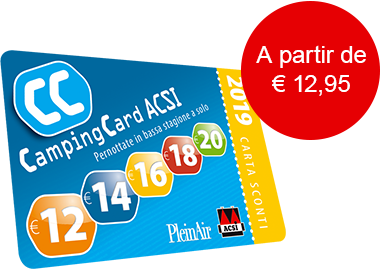 Al campeggio Camping Joan è possibile praticare snorkeling, windsurf, canyoning/canoa/rafting e sci d'acqua. Ogni anno un ispettore visita il Campeggio Joan, controllando oltre 200 tra attrezzature e altri punti di interesse del campeggio. L'ispettore è un dipendente ACSI e non lavora per il campeggio. The Camping is great. Everything is fine. I think this is more than a three stars Camping. Reception & Staff were excellent, access to some of the pitches with my 12m outfit was very tight, motor mover is essential. The mature overhanging trees were a little scary particularly as I had had a collision with one at another location. Access to the beach is good and cycling into Cambrils & Salou is safe and easy. Cambrils is not too big and has a nice feel to the place, especially around the harbour. A very minor point, but when we paid on departure, we were not offered the choice to pay in Euro's or GBP , so we paid a service charge on our GBP payment. First impressions are very important and this one does that, the lady in reception was so so pleasant I would have stayed regardless. The shower and toilets are lovely and very clean, the pitches are great very spacious. The location is fantastic so well worth a visit. Camping familiar, muy bien comunicado con el paseo marítimo de cambrils mediante carril bici. Parcelas con mucha sombra en verano, trató muy agradable con los niños y baños para bebésen buenas condiciones. Muy recomendable, yo he repetido y volveré a ir. Es un camping genial, esta cerca de todo, Cambrils a 5 minutos en bici, por su carril, una playa genial y muy buena para niños, las parcelas estan muy bien y con mucha sombra, la piscina algo fria pero muy buena al ser tipo playa y que cubre de menos a mas. Los baños muy limpios y el personal muy atento, en recepcion gente muy amable y servicial. En definitiva para mi y mi familia es uno de nuestros campings preferidos. Lovely site during week but noise on site is awful at weekends & holidays because of unsupervised Spanish children running amok!. Toilet blocks are clean, except at week-ends when children treat them as a play ground. Hot water is a lottery. Soap in loos is a rarity, toilet rolls run out regularly (at week-ends). Trees are very low & an average sized motorhome will have difficulty negotiating branches - damage is often caused. On plus side site is close to beach & cycle route into town. Para mi, es un camping muy cómodo y tranquilo. El personal muy amable cercano al pueblo de Cambrils encantador. We have now returned to Campsite Joan 4 years in a row. There are a number of reasons why we return each year and recommend this site to people that we meet on the road. First of all the staff running this site are excellent, nothing and I mean nothing is too much trouble for them. The site is managed by Berta, a member of the family that own the site. She is on site every day, and always available to help and assist her clients. We have stayed on the site in our Camping Car, our Caravan and also stayed in one of their excellent bungalows. The facilities on site are superb. The bathroom areas are cleaned and serviced twice a day. There is always lots of hot water. The site is always immaculate, very well maintained by their excellent ground staff. This site is on the seafront, only a twenty minute walk or a 10 minute cycle ride from Cambrils. Supermarket and resaurant are open throughout the season. The shopp stocks almost everything you need with freshly baked on site bread daily. Volete prenotare il campeggio Campeggio Joan o oppure saperne di più? Potete farlo usando i seguenti dati oppure tramite il sito del campeggio. Autostrada AP7, uscita 37 direz. Cambrils. Al semaforo a destra. N340 verso Hospitalet. Subito dopo il distributore Shell prendere a destra il viadotto che passa sopra la N340 e seguire i cartelli. ACSI Eurocampings invia la tua richiesta di informazioni al "Campeggio Joan".